AKR1B10 could help provide early detection of HCC. Hepatocellular carcinoma (HCC) is a long medical name for the most common form of liver cancer, a malignancy whose incidence has nearly doubled over the past decade, making it the fastest growing type of cancer in the U.S., and the third-leading cause of cancer-related death worldwide. In an article published in the scientific journal Cancers, researchers at the Translational Genomics Research Institute (TGen), an affiliate of City of Hope, provide the first summary of the experimental evidence supporting the AKR1B10 enzyme as a promising therapeutic target for HCC, based on a review of more than 50 studies published since this gene was first identified and characterized in 1998. 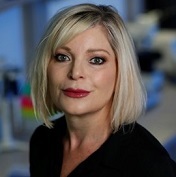 "While the association between this gene and HCC is well recognized, in this review we see AKR1B10 emerging as not only a therapeutic target for this type of liver cancer, but also having potential use in early diagnosis of this deadly disease," said Dr. Johanna DiStefano (pictured), head of the Diabetes and Fibrotic Disease Unit at TGen. Importantly, AKR1B10 has a seemingly conflicting role in HCC development and progression. This gene's over expression is a clear indicator that a patient might have HCC, and yet the suppression of this gene may also be seen as a way to stop the cancer's progression and spread, said Dr. DiStefano, a Professor at TGen and the paper's senior author. Like many types of digestive cancers, HCC exhibits few symptoms in its early stages, and is usually not diagnosed until its late stages, when there are fewer options for treatment and the chances of patient survival dim. In the U.S., the number of liver cancer diagnoses has nearly doubled, from about 22,000 cases in 2009 to an estimated 42,000 cases this year. Men are almost twice as likely to contract this disease than women. This year, nearly 32,000 patients will die of liver cancer, making it the fifth leading cause of cancer related death in the U.S., following closely on the heels of breast and pancreatic cancers. Worldwide, liver cancer is the third leading cause of cancer related death, according to the review paper: Diagnostic and Prognostic Potential of AKR1B10 in Human Hepatocellular Carcinoma. HCC is the most common cause of death in patients with cirrhosis of the liver, which is most strongly associated with overconsumption of alcohol, viral infections and nonalcoholic fatty liver disease (NAFLD). While AKR1B10 has emerged as a potential biomarker for the diagnosis and prognosis of HCC, studies show this enzyme also plays a role in the development and progression of HCC, the paper says. AKR1B10 appears to affect HCC's resistance to currently available chemotherapies, making HCC more difficult to treat. At the same time, the TGen paper shows that higher expression of this gene is paradoxically associated with better long-term outcomes, increased survival rates and lower incidence of metastatic spread to other parts of the body. The aggregate findings suggest that AKR1B10 may be performing different functions at different stages of HCC. "Identification of biomarkers for various stages of HCC is critical to improving early disease detection and enabling early implementation of chemotherapy and surgical removal of the tumor to prevent the cancer's progression and spread to other organs," said Dr. Bethany Davis, a post-doctoral fellow in Dr. DiStefano's lab and also an author of the paper. The molecular mechanisms underlying HCC, and the role AKR1B10 plays in this disease, however, continue to remain poorly understood, Dr. DiStefano said. "Still, our review shows that AKR1B10 might be exploited for early cancer prevention," she said. "And the value of this gene in therapies and clinical management of specific subtypes of HCC clearly warrant further investigation." Illustration: Translational Genomics Research Institute.